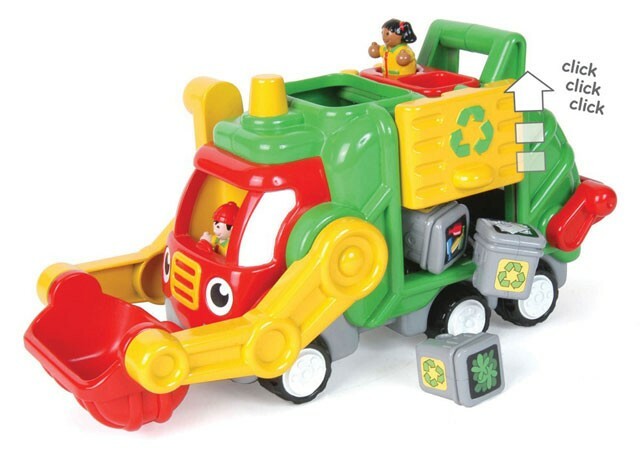 Introduce kids to the importance of recycling with WOW's loveable Flip 'n Tip Fred Truck with tip-and-release action. Recycling has never been so much fun! Use his bucket to tip trash into the truck or sort the bins and flip them into the rear. Drive off using his powerful friction motor with realistic engine sounds. Watch the automatic trash crusher spin and then slide open the clicking door to empty the truck. 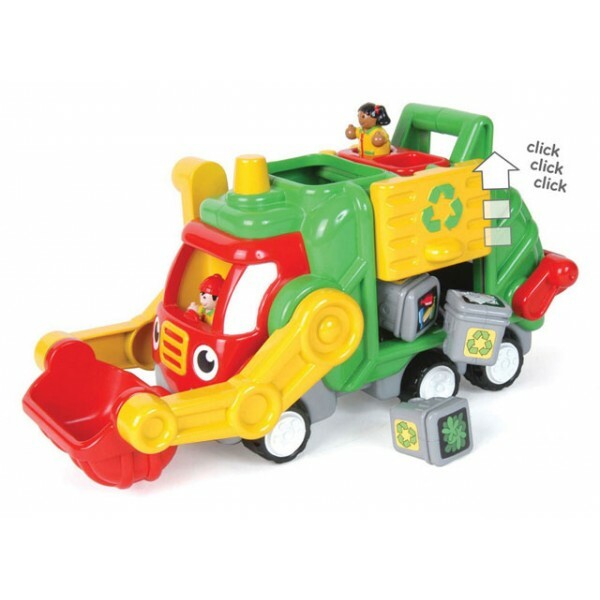 Three different recycle bins, a boy and girl recycling team and a sturdy carrying handle complete this great role-play set.